Jennifer is a Senior Lecturer and DECRA fellow in the School of Mathematics and Statistics at the University of Melbourne. Her research focuses on mathematical biology in areas such as wound healing, tumour growth and epidemiology. She was awarded a PhD in 2009 from Queensland University of Technology on mathematical modelling of tissue repair. From 2010 – 2013, she was at the University of Oxford developing statistical models for the spread of resistance to antimalarial drugs. From 2014 – April 2017 she was a Lecturer in the School of Mathematical Sciences at Monash University. In May 2017 she joined the School of Mathematics and Statistics at the University of Melbourne as a Senior Lecturer in Applied Mathematics. Jane Heffernan received her BSc in Mathematics and Computer Science from Trent University in 2000, and her BEd from Queen's University (concurent Trent-Queen's program) in 2001. Following this, she completed her MSc (2002) and PhD (2005) in the Department of Applied Mathematics at the University of Western Ontario, supported by NSERC. She was awarded the Governor General's Gold Medal for her PhD. 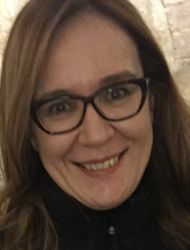 After an NSERC postdoctoral fellowship in the Biology Department and Mathematics Institute at the University of Warwick, UK, Jane joined the Department of Mathematics & Statistics at York University in 2007. Dr. Heffernan is a Full Professor in the Mathematics & Statistics Department at York University, Toronto, Canada. She is also the Director of the Centre for Disease Modelling, and holds a York Research Chair in Multi-Scale Models for Evidence-Based Heath Policy. 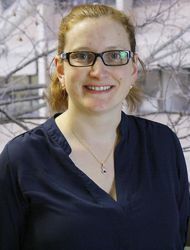 Dr Heffernan currently sits on the Board of Directors of the Society of Mathematical Biology (SMB) and the Canadian Applied and Industrial Mathematics Society (CAIMS). In 2015 she was awarded the CAIMS-PIMS Early Career Award. Her work, developing mathematical models describing infectious diseases at the individual and population levels, as well as evolutionary benefits in populations, informs disease and population control policies. Dr. Heffernan's interdisciplinary collaborative network involves researchers in Applied Mathematics, Health Economics, Statistics, Data Mining, Public Health, Medicine, Agriculture, and Biology, in Canada, India, China, Hungary, Australia, New Zealand, Brazil, the UK, and the USA. Diseases of focus include HIV, HCV, HBV, HSV, HPV, TB, influenza, measles, pertussis, and malaria. Yoh Iwasa is a professor at Kwansei-Gakuin University, Japan. He received PhD from Kyoto University (Theoretical Biophysics) in 1980. 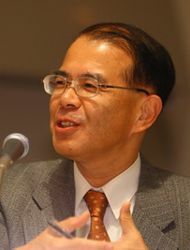 After postdoctoral studies at Stanford and Cornell, he joined the faculty of Department of Biology, Kyushu University in 1985. In 2018, he moved to the current university. Dr Yoh Iwasa started his career in the theoretical study of ecology, evolution, and animal behavior, including the evolution of mate preference, the dynamics of tropical forests, and social-ecological coupled dynamics for ecosystem management. More recently he has also been working on biological rhythm, cancer, development, and immune system, as well as cultural/social studies. He has repeatedly found that the same mathematical and computational methods are applicable to diverse branches of biology, and similar concepts are able to give insights in different subfields of life sciences. FHM of American Academy of Arts and Sciences (since 2006). Co-Chief-Editor of Journal of Theoretical Biology (since 2005), and the editorial boards of numerous ecology and mathematical biology journals, including Journal of Mathematical Biology, Bulleting of Mathematical Biology, Theoretical Population Biology, Mathematical Biosciences, Evolutionary Ecology Research, Theoretical Ecology, and 12 journals. Laureates of the Akira-Okubo prize of Society for mathematical biology /JSMB (2017), the Ecological Society of Japan award (2003), and Motoo-Kimura memorial prize of SCSJ (2003). I work at the University of Canterbury and I am the deputy director of Te Pūnaha Matatini - The Meeting Place of Many Faces, a New Zealand Centre of Research Excellence. Many years ago, I gained my PhD in combustion engineering, but decided to transition from catalytic converters to the rest of the world. By upbringing I am a mathematical modeller, working on problems from social science to climate change. More recently I've started wondering if I'm becoming a data scientist. I seem to spend more of my time trying to interpret numbers meaningfully rather than equations! I am excited by the contribution mathematics can make to the analysis and study of almost everything, from the gender pay gap, to social work decisions and Predator Free NZ. I'm lucky enough to only spend three days a week working and the rest of the time I can be found playing with lego and weka hunting with my two small children. 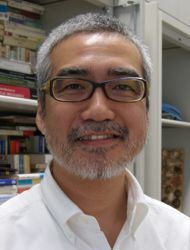 Toshiyuki Nakagaki is a professor of Mathematical and Physical Ethology in Research Center of Mathematics for Social Creativity, Research Institute for Electronic Science (RIES), Hokkaido University (Sapporo, Japan). Currently he is director of RIES. He graduated from Faculty of Pharmaceutical Science, Hokkaido University (Bachelor in 1987, Master in 1989) and worked in Pfizer Inc. (Central Research Center, Nagoya, Japan) for 5 years. After quitting the job in Pfizer Inc., he entered Nagoya University (Graduate School of Human Informatics) and got a Ph.D in biophysics in 1997 while working as a part-time teacher in a correspondence high school. The thesis title was ‘Amoeboid cell behaviors based on self-organization of nonlinear chemical oscillators’. His post-doc research was done in Bio-mimetic Control Research Center, RIKEN institute, Japan and a study on ‘maze-solving by an amoeba’ was published. He became an associate professor in Hokkaido University in 2000 and conducted an experimental and mathematical study on how an amoeba of slime mold designed multi-functional transport network. After being a professor in Faculty of Complex and Intelligent Systems, Future University Hakodate in 2010, he came to his current position in 2013. 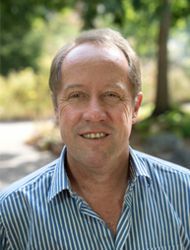 Hugh won the Australian Maths Society medal and started his career as a lecturer in Applied Mathematics at The University of Adelaide in 1990. In 2016 Hugh became The Chief Scientist of The Nature Conservancy (TNC), the world’s largest environmental non-government organization. He is based in Arlington Virginia (USA) and Brisbane (Australia). His expertise is in ecology, applied mathematics, spatial planning, operations research and economic instruments for conservation outcomes. He has coauthored >650 refereed publications covered by the Web of Science (>30+ in the world’s top journals: Science, Nature or PNAS). He has supervised >80 PhD students and >50 postdoctoral fellows. In 2016, Hugh was elected a Foreign Associate of the US National Academy of Sciences, the most prestigious science academy in the world. He is one of less than 500 foreign associates in the National Academy of Sciences globally. The Possingham lab uses mathematics to formulate and solve problems for saving plants, animals and ecosystems. They developed the most widely used conservation planning software in the world. Marxan was used to underpin the rezoning of the Great Barrier Reef and is currently used in >180 countries by >6000 users – from the UK and USA to Malaysia and Brazil – to build the world’s marine and terrestrial landscape plans. Marxan can be used to achieve conservation outcomes while maximizing development opportunities. In addition, many governments and ENGOs use the group’s research for the allocation of funding to threatened species recovery and solving other conservation conundrums. Marxan has assisted the conservation rezoning of about 10% of the planet and is one of TNC’s main spatial planning tools. While at The University of Queensland Professor Possingham raised over A$100 million in research grants for conservation science, mainly from the Australian Research Council and the Federal Environment Department. 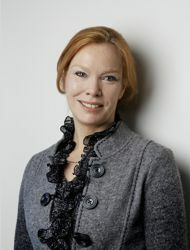 Tiina Roose was born in Estonia under the Russian occupation. She completed her undergraduate degree in control systems engineering at the Tallinn Technical University. Following this when Estonia became independent and borders opened she did, after short stint as an investment banker, and MSc and DPhil in applied mathematics at the University of Oxford. Her speciality whilst a graduate student was to develop multiscale mathematical modelling techniques to answer scientific questions about how biological branching structures, such as plant roots, interact with environment, i.e., soil. 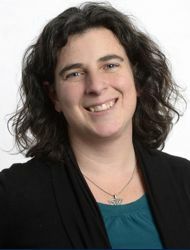 Following the completion of her DPhil in 2000, she moved to the Harvard Medical School/Massachusetts General Hospital as a postdoctoral Fellow to work on mathematical modelling of lymphatic function during cancer development. Upon her return to Oxford in 2003 she was awarded a Royal Society University Research Fellowship to work on modelling of plant roots, lymphatics, blood vessels and lung physiology. 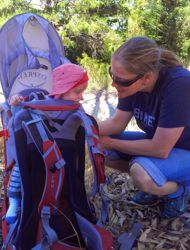 She held her URF first in Oxford and upon the birth of her son Max in 2006 she moved to join her husband at the University of Southampton in 2009. In 2013 she was promoted to a Professor and after completion of her Royal Society URF the same year she was awarded an ERC Consolidator grant titled “Data Intensive Modelling of Rhizosphere Processes”. This multimillion pound project/fellowship started in 2015 and is due to finish in 2020. At Southampton Tiina runs the Faculty of Engineering and Environment New Frontiers Fellowship mentoring program and also serves on the EPSRC General Engineering Early Career Advisory panel. Professor Melissa Knothe Tate is an internationally recognised leader in the fields of multiscale mechanobiology as well as the development and clinical translation of novel technologies and materials. She trained as a mechanical engineer, biologist and biomedical engineer at world leading institutions in Palo Alto, California and Zurich, Switzerland. She is recognised as one of Australia's most Innovative Engineers 2017 for her geospatial and navigation approaches (using Google Maps) to understand the cellular inhabitants of complex biosystems including the human hip. Her recognition as an elected Fellow of Engineers Australia, the Biomedical Engineering Society, the American Society for Mechanical Engineering, and the American Institute for Medical and Biological Engineering give an indication of her recognition among peers in the top tier of the field. Mentoring and cultivation of talent and innovation are particularly important to Prof. Knothe Tate, who has designed and debuted curricula to engineer innovation with cohorts as diverse as Indigenous children, Harvard engineering undergraduates, and doctoral trainees in multiscale modelling at University of Paris Est.